Why rent at Forbes Place? 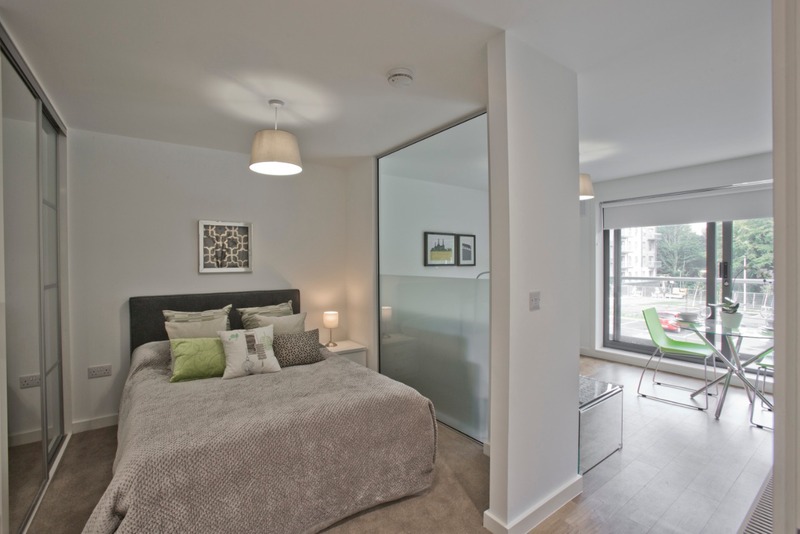 This stylishly furnished, top floor studio apartment comes with FREE BROADBAND AND ALLOCATED OVERGROUND PARKING and a BALCONY. Available to rent close to Dyce's business parks and Stoneywood's amenities. 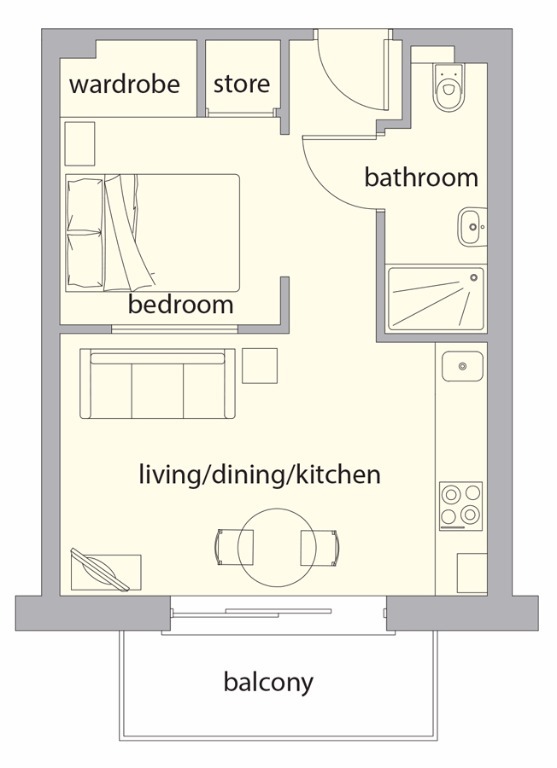 Our cleverly designed studio apartments measure 300 sq. 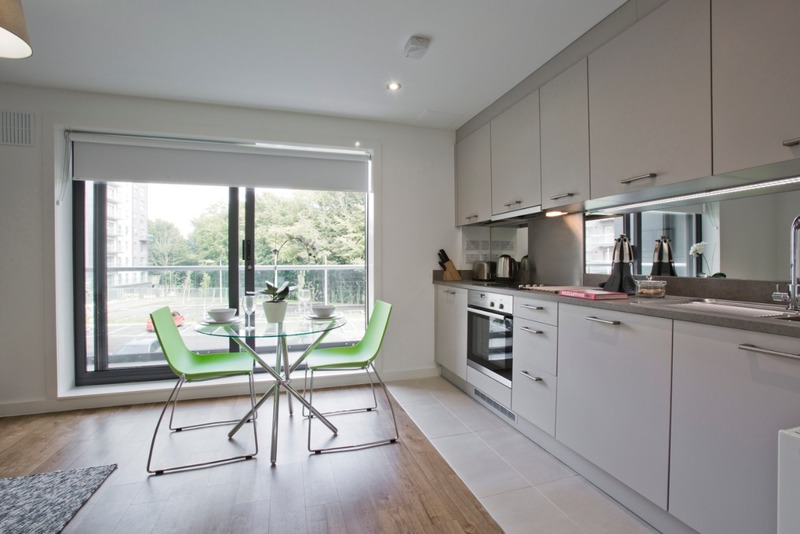 ft. and come with free high speed broadband plus a dedicated overground parking space. 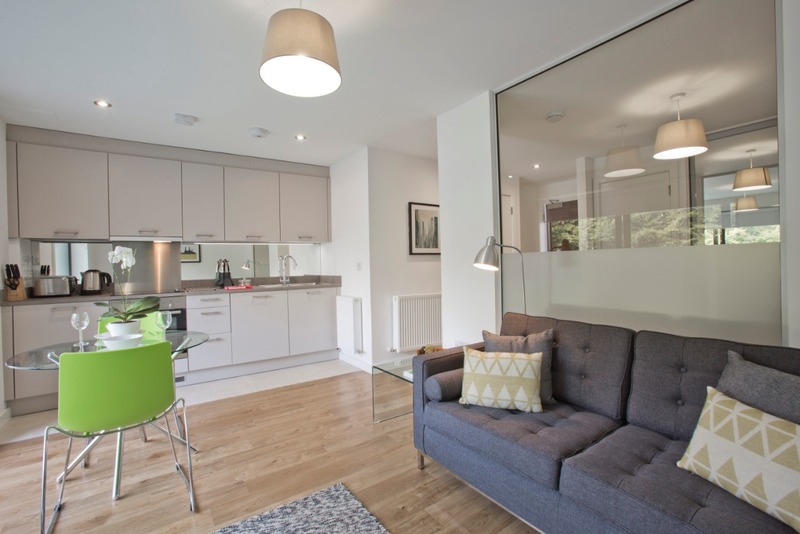 Inside, the homes feature an open plan living area, furnished with a grey 3 seater sofa, glass coffee table, TV unit and a dining table. The stylish kitchen is fitted with A-rated, energy efficient Neff and BOSCH appliances, and sliding doors open onto a balcony. 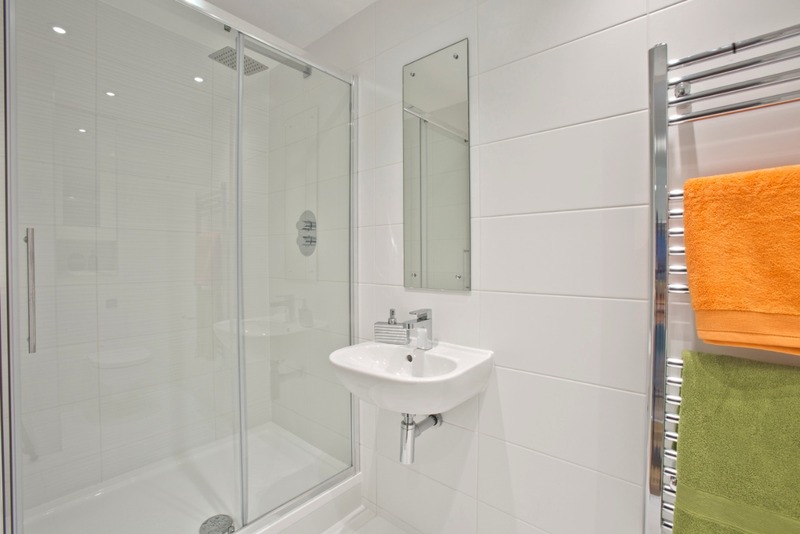 The apartments have a separate sleeping area with a cosy double bed and built-in wardrobes, and there's a walk-in shower room with concealed storage. Images are indicative only. EPC rating: B. Landlord Registration Number: 469043/100/04261. 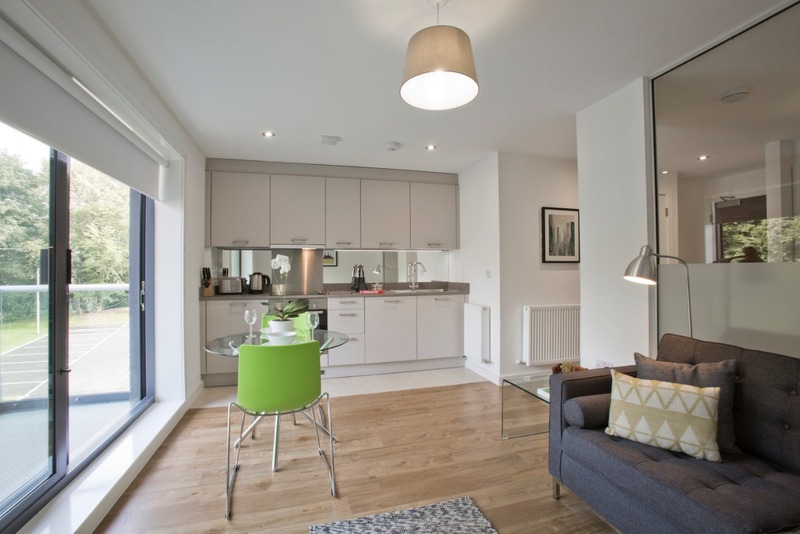 Surrounded by superbly landscaped public gardens, Forbes Place is just a short walk from the nearby Stoneywood community and retail centre, where you’ll find The Co-operative Food store and the M&S Foodhall. 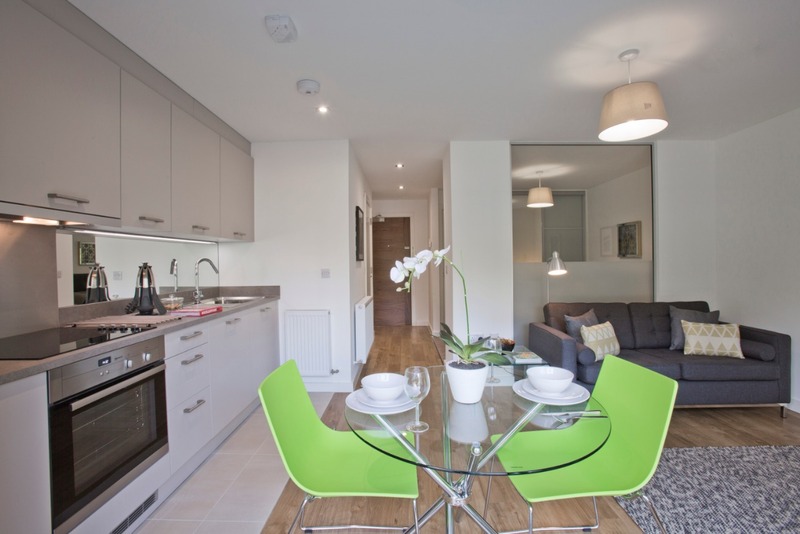 Bus and rail links to Aberdeen city centre are conveniently located nearby. Your information will not be shared with any third parties without your consent, and you can unsubscribe or request that your details be removed from our systems at any time by contacting our Data Protection Officer at: dpo@dandara.com. Further details can be found in our privacy statement and our data protection policy.